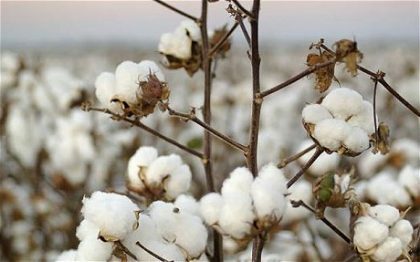 The National Cotton Association of Nigeria, (NACOTAN) on Tuesday urged the Central Bank of Nigeria (CBN) to fast-track its intervention in the Anchor Borrowers Programme (ABP) to cotton farmers across the country. Mr Anibe Achimugu, the President of NACOTAN, made the appeal in an interview with the News Agency of Nigeria (NAN) in Abuja. Achimugu said the ABP programme, if implemented would help create markets for cotton, ensure minimum guaranteed price and provide the required input for cotton production. He said the CBN had adopted cotton as one of the crops to be supported under the ABP, there was need to hasten interventions to meet demands. The president said cotton had the potential to create wealth, jobs and other necessity of life which is clothing. Achimugu said cotton production would be increased from 450 to 500 kilogramme to one tonne per hectare under the CBN programme. “ I don’t think the importance of cotton has not been re-adopted by the government. “Cotton is supposed to be taken as a national asset as it is done across cotton producing countries in the world. “At the moment, I will like to say that it is not a good story for cotton farmers in Nigeria. “That is why we are trying as an association to tap into certain interventions that we feel will impact positively on our members such as the Anchor Borrowers Programme of the CBN. “To me, that is one of the best programmmes out there and I believe that if it is midwifed, focused and implemented properly, it will potentially turn the agricultural sector of Nigeria, not just cotton. “The only thing I will say about the ABP for now is that perhaps it could be done faster because agriculture is time bound and if you miss certain windows, it is dangerous. Achimugu explained that the association had commenced work with the Nigeria Incentive Based Risk Sharing for Agricultural Lending to ensure that over 67,000 cotton farmers and ginners benefit from the ABP. According to him, cotton is grown in more than 26 states of the country.